The US announced its withdrawal from the INF Treaty without having an intermediate ground-based missile to deploy. It made arms control pundits wonder what triggered this decision. 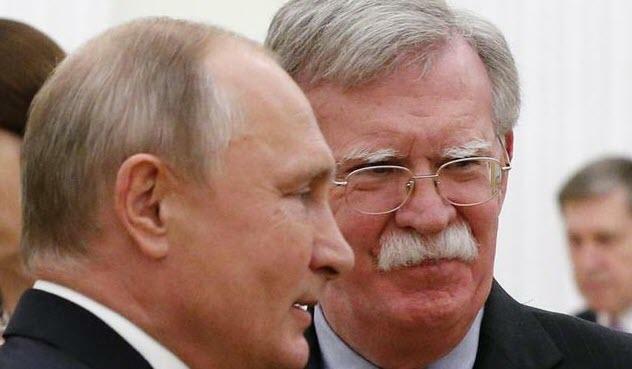 Even if the China threat were not exaggerated and Russia’s alleged “treaty violations” were true, there would be no explanation for National Security Adviser John Bolton’s statement that the US was leaving the landmark agreement with no land-based intermediate range weapon of its own nearing operational status. Picking up useful bits of information here and there is the best way to find answers to hard questions. It takes time but the effort pays off. According to the US Naval institute (USNI), the Navy has set up a program office within its Strategic Systems Programs (SSP) to address the conventional prompt global strike mission handed by the Defense Department to the sea service. According to SSP Director Vice Adm. Johnny Wolfe, who spoke this month at the annual Naval Submarine League symposium, each service will field some sort of hypersonic capability to contribute to conventional prompt global strike. “We have a program, we are funded, and we’re moving forward with that capability, which is going to be tremendous to allow our Navy to continue to have the access they need, whether it be from submarines or from surface ships,” the admiral noted. If attack submarines can accommodate the weapon, US Navy’s destroyers and cruisers can do it too. One can imagine the number of sea-based PGS weapons in service when mass production process starts running smoothly. Installed on Virginia–class boats, the missile will be excluded from the verification procedures in accordance with the New START Treaty. The weapon under consideration is a sea-based one. At first glance it has no relation to the INF Treaty but not so fast. The Defense Department said the Navy is responsible for a universal weapon to be used by all services, including the Army. The Hawaii missile was launched from land. It’s worth to note that by announcing the plans to arm attack submarines with the new weapon the US military actually admits the violation of the INF Treaty because the Romania-based Aegis Ashore uses the same VLS Mk-41 launching pad as ships and submarines. If the PGS weapon is small enough for the MK-41 launcher, or the Virginia Payload Module, it can be installed on a mobile ground platform in open violation of the INF Treaty.